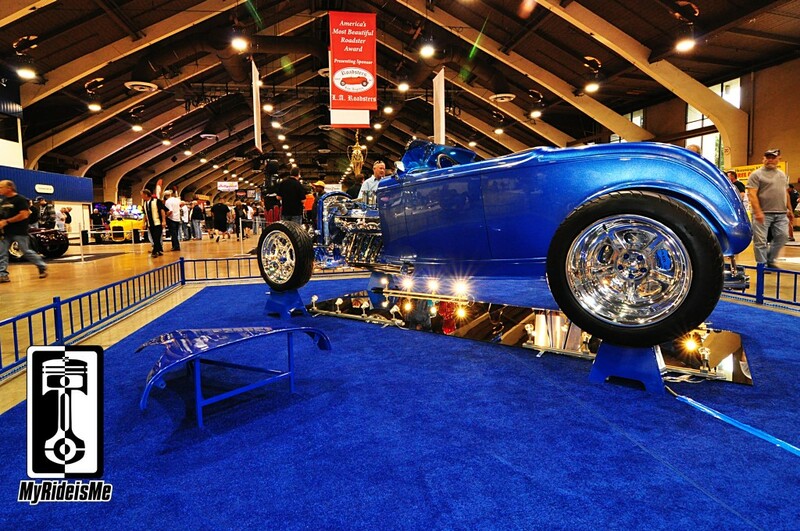 Another year at the “Grand-daddy of all hot rod shows, the Grand National Roadster Show. MyRideisMe.com is proud to be here for our seventh year of coverage online. 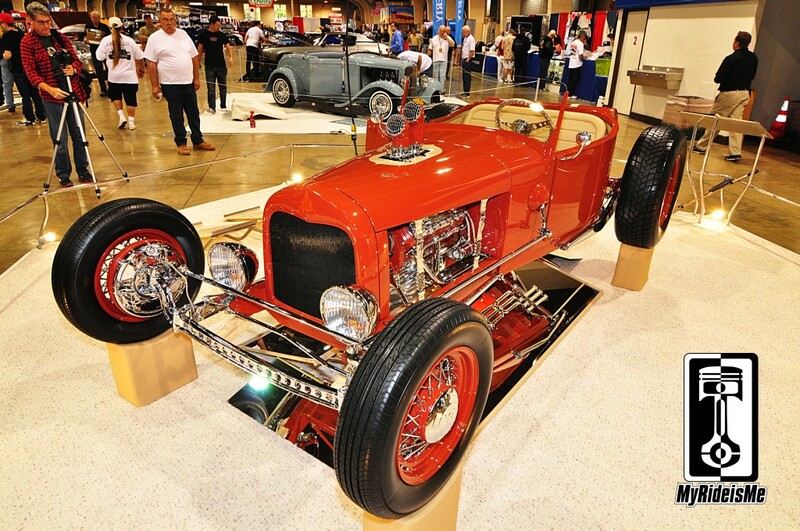 In case you’ve been sleeping these last 7 years, Grand National Roadster Show, sometimes referred to GNRS, is the best of the west, maybe in the USA (you can decide here) hot rod and custom car show. 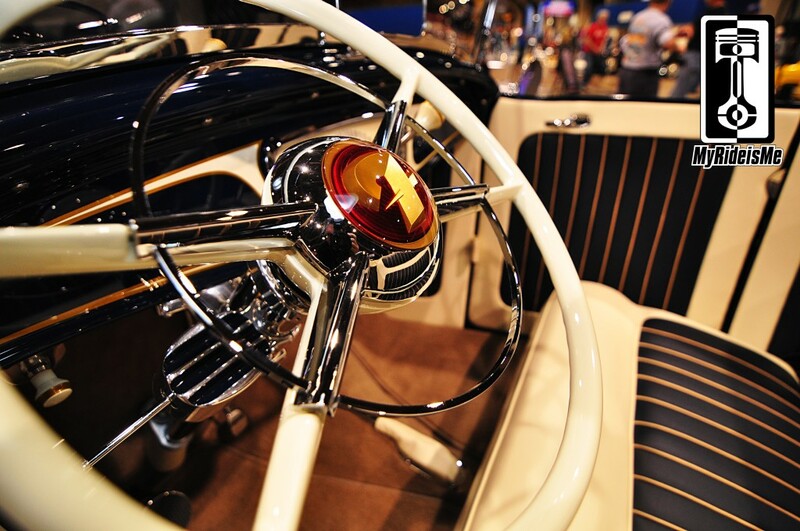 Every year, the “America’s Most Beautiful Roadster” contenders assemble for 1000’s of Southern California hot rod enthusiasts to enjoy, bench race and judge. Before most people make it to the show, MyRideisMe likes to give a little preview of who might win the “AMBR” (pronounced “amber”) Award and show a few pictures so you can decide. There are a total of 11 roadsters contending. There were 12, but a very unfortunate accident happened during setup and one car was lost. We were shocked to hear AMBR judge and all around nice guy Vic Cunnyngham was injured as well. BUT! Vic’s on the mend already and show promoter John Buck announced he’ll be back at the show on Sunday! 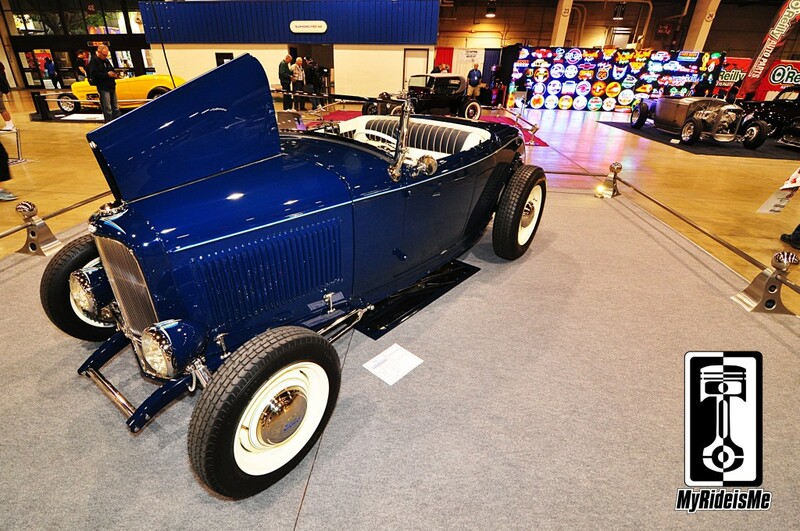 Kicking things off, here’s the 1932 Ford Roadster owned by Debra and Ronnie Goodwin from Smithville, Tennessee. Debra welcomed us “behind the rail” for some close-up shots of their Street Rods by Michael hot rod roadster. 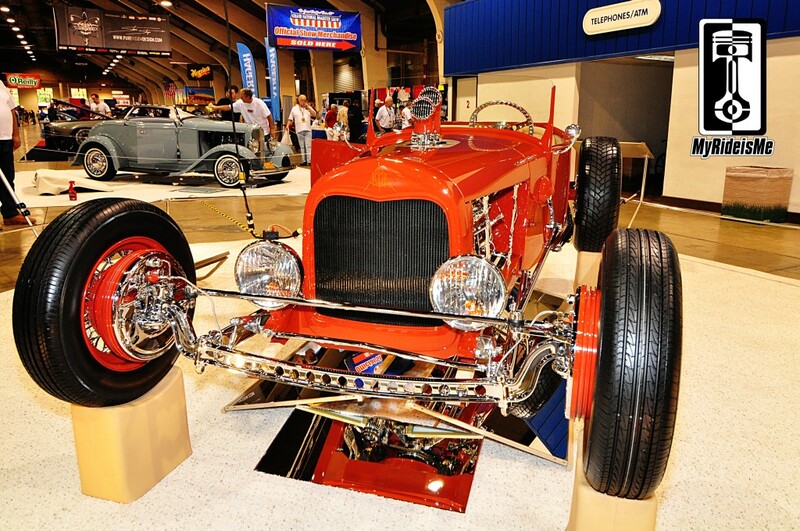 The goal was perfectly executed: Build a period correct hot rod. Check. Interestingly (if I do say so myself…) The Washington Blue color for roadster was selected after Ronnie saw this Model A Hot Rod right here at MyRideisMe.com. Too cool! 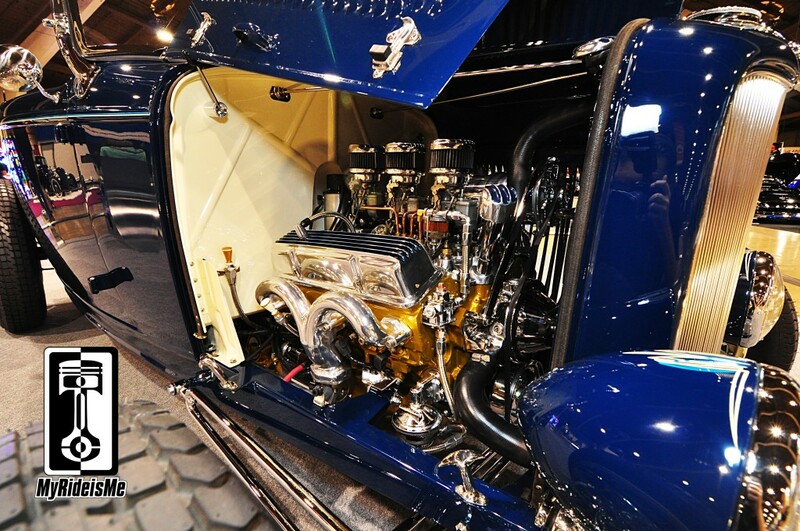 A team of great hot rodders combined to finish Larry Maddox and Doug Dwyer’s 1932 Ford Roadster. After my first look at this 427 Ford SOHC powered BEAST at the SEMA Show, I couldn’t wait to see it on display for the AMBR. Since SEMA a few shake down runs proved this car won’t be a trailer queen after the show circuit. Like most AMBR cars, initially, Larry just wanted to find a good home for the SOHC motor… then things just got out of hand… then “Blue Steel” was born. 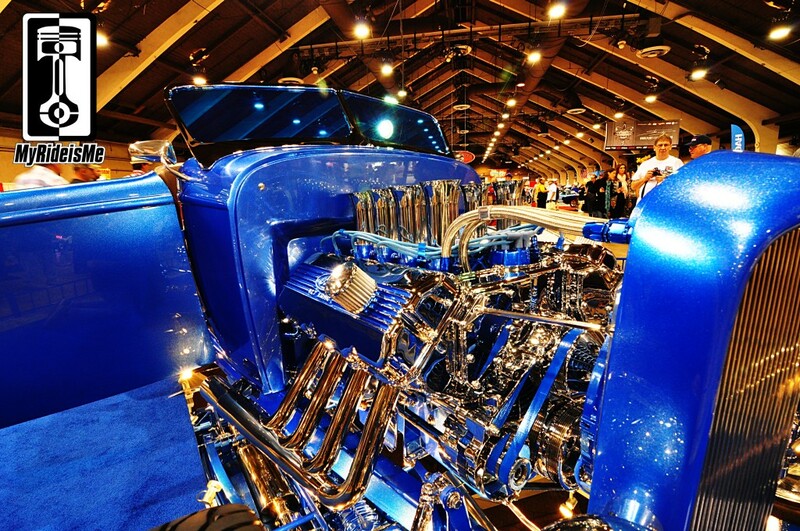 With a great mix of details and true hot rod roots, I think they’ve got a good chance. Dubbed the “Chocolate Rose” one item of homework for tomorrow (as I type here at 1:27AM) is to find out what’s up with this color?! One thing’s certain, you won’t see any other hot rods wearing this particular hue. Artist Jimmy Smith (did I say artist? Maybe I should say poet…) described it as, “A still wet terracotta pot.” Let’s see if a 1927 Roadster can win 2 years in a row! 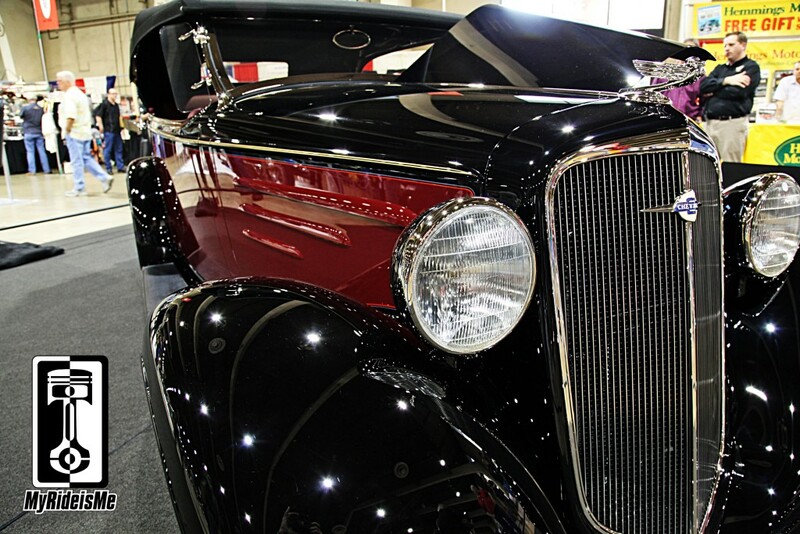 The last roadster I want to feature in this story is Wes Rydell’s 1935 Chevy Phaeton. Mr. Rydell cheerfully told us, “This isn’t my first rodeo…” And he wasn’t lying. 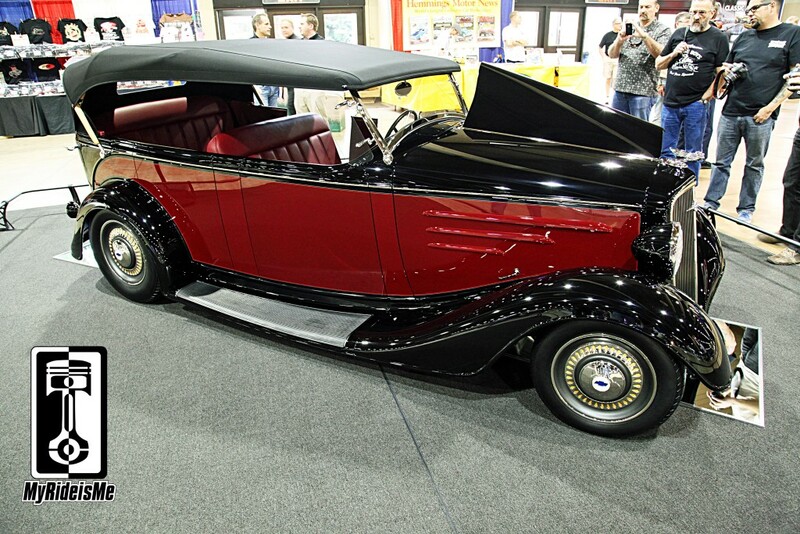 Wes assembled a dream team for this four-door roadster. 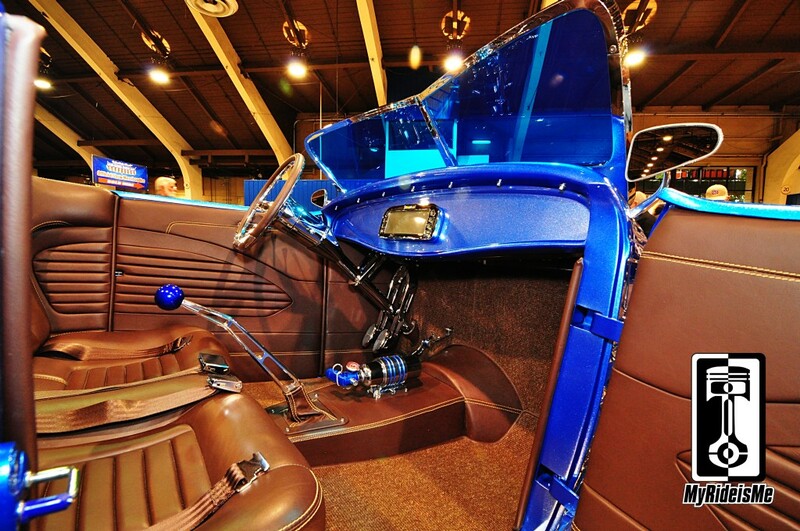 Chip Foose did the design then Rad Rides by Troy put it together. That’s the winning formula Wes used this same team to win the 2002 Ridler Award with a 1935 Chevy Master Sedan called “Grandmaster”. Not at all his first rodeo. When or if it comes down to pure beauty and even ELEGANCE, I pick Rydell’s “Black Bowtie” as the AMBR winner. But… can we have a four door winner? Has that ever happened? 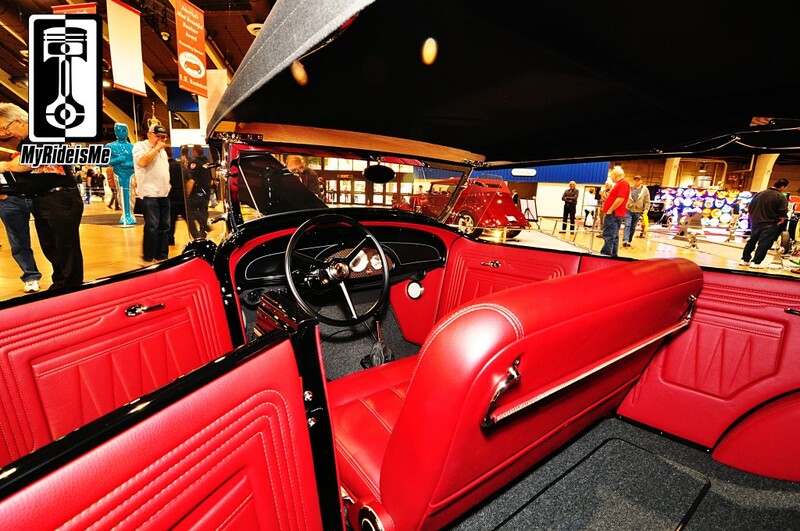 How many car are built from pre 1955 parts by a person like the 99% of PEOPLE at the show! 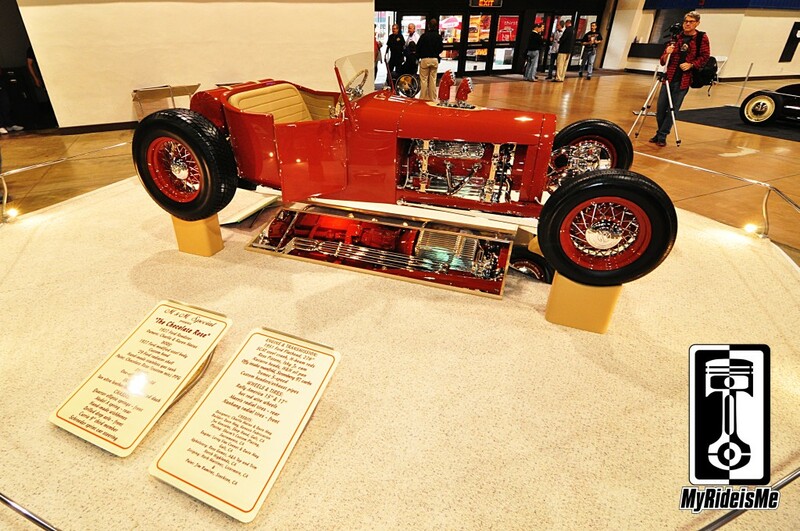 32 Ford by Paul Gommi is something you are I would have a chance to build. Oh yea it’s been driven four thousand plus miles! fantastic car one of 217 usa gm built and maybe one of 3 canadian built . There is a list published somewhere of all the winners from 65 years ago when it started. I think a model t touring won it an 09. A Chevrolet has never won it, this would be a first. love the car, not a fan of the wheels, sorry chip foose. there is a list online of all the winners of the AMBR, stumbled into it by accident looking for pics of the tub. Just curious. How much is award money? I hope my address says something about me enough for my thanks to you guys is real. Ha I’ll get ya pics of my 74 montego wagon. What a hauler she is got a healthy 460 c6 combo. Thanks Paul H. The sidewinder.